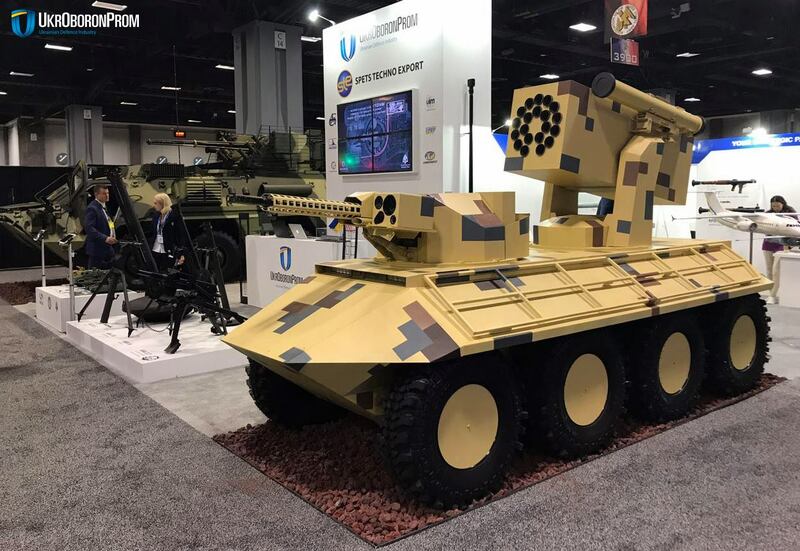 The leading exporter of the State concern UkrOboronProm – SFTE SpetsTechnoExport – represented the new UGV Phantom-2 at the international defense exhibition AUSA-2017, currently held in Washington. This military equipment sample continues Ukrainian innovative Phantom line for conducting modern military operations. "The Ukrainian MIC is quickly implementing its hybrid warfare experience, introducing the latest developments. 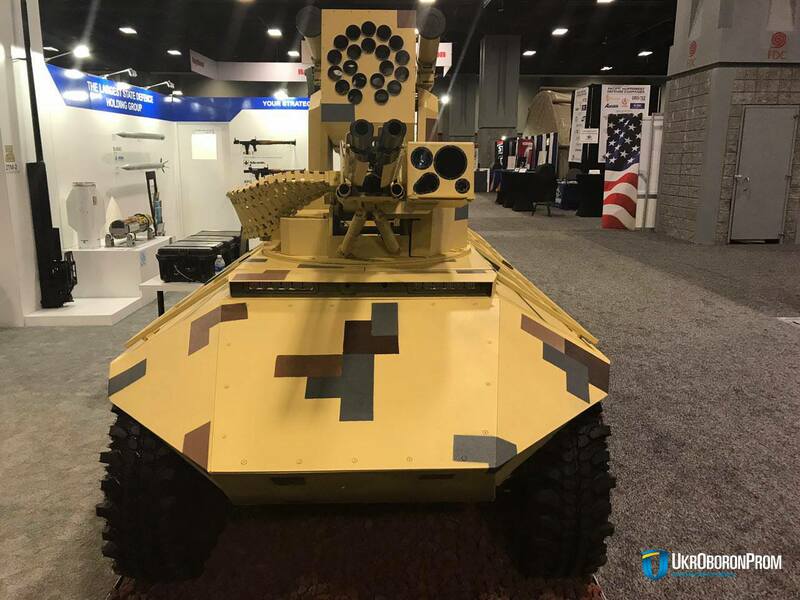 The first Phantom was represented to the international community in February at IDEX-2017, six months later, our specialists developed its modification, and now "Phantom-2″ is represented at UOP booth in the framework of AUSA-2017", – said the director of the SE SpetsTechnoEksport Pavlo Barbul. UGV Phantom-2 has 8×8 wheeled chassis and can be equipped with tracks. The endurance range of the new Phantom is 130 km, it develops speed of almost 60 km / h; hybrid system, engine power is 80 kW. The vehicle is operated by means of secure radio 20 km channel or via fiber cable of 5 km length. The machine is armed with coaxially-mounted 23mm autocannon, MLRS RS-80 and two launchers for anti-tank GMs.